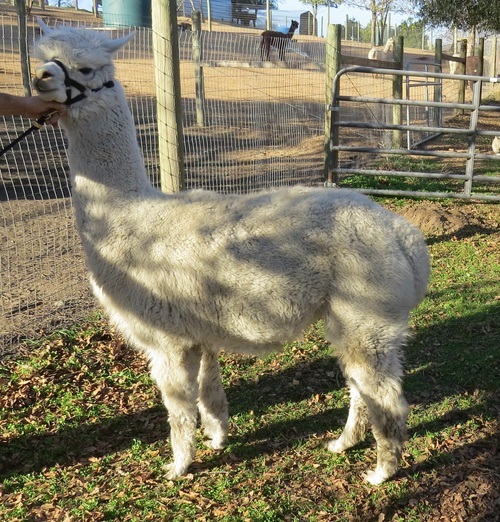 Casablanca is a snowy white girl carrying a huge amount of fleece! She's out of dam, Peruvian Tiquina, and Victor's Hemiaccoyo Casanova, making her a half-sister to the World Champion and AOBA Nationals Judges' Choice "Aussie .38 Special". 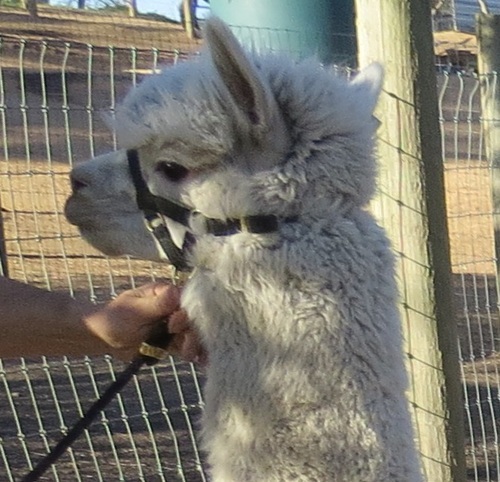 Casablanca has that long, ultra bright, silky fleece style that Casanova is famous for putting on all of his offspring.